Kirk Bell January 17, 2018 Comment Now! Fifty years ago a car chase on the streets of San Francisco between a Mustang and a Charger made movie history—at least for gearheads. That movie was "Bullitt" starring the ultra-cool Steve McQueen. 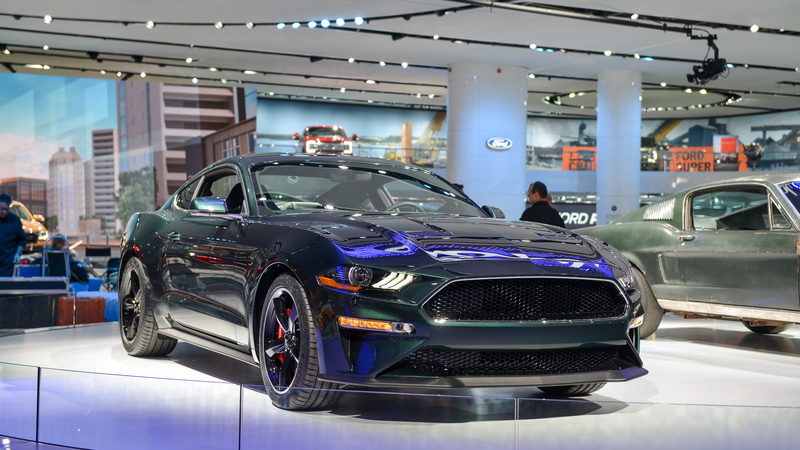 In the years since, Ford has released two special edition Mustang Bullitt models and for 2019 a third is on the way. 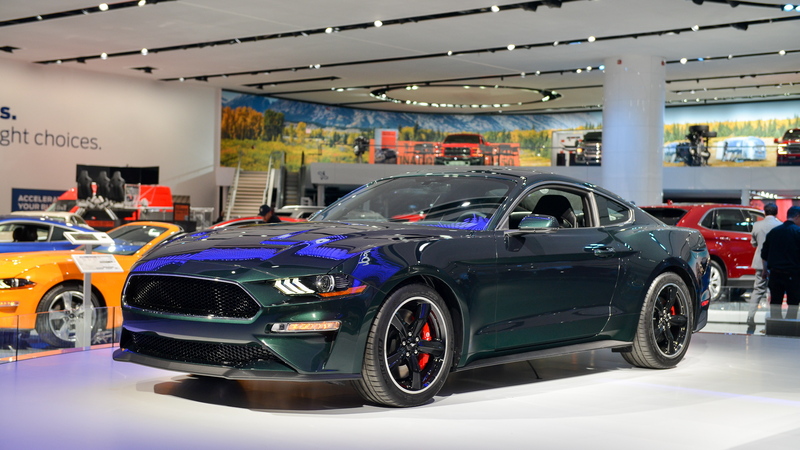 The 2019 Mustang Bullitt is based on the GT Premium coupe. When it goes on sale this summer, it will be offered in the iconic Dark Highland Green or Shadow Black, both with cues from that movie car, including 19-inch Torq Thrust-style wheels, chrome trim around the side windows, a unique black grille, and a cue ball shift knob. It also gets a 12-inch digital gauge cluster that shows an illustration of the car upon startup, and buyers can opt for black leather Recaro front buckets to hug them tight while chasing baddies in black Chargers. Part of what made the "Bullitt" chase scene so great was the soundtrack. 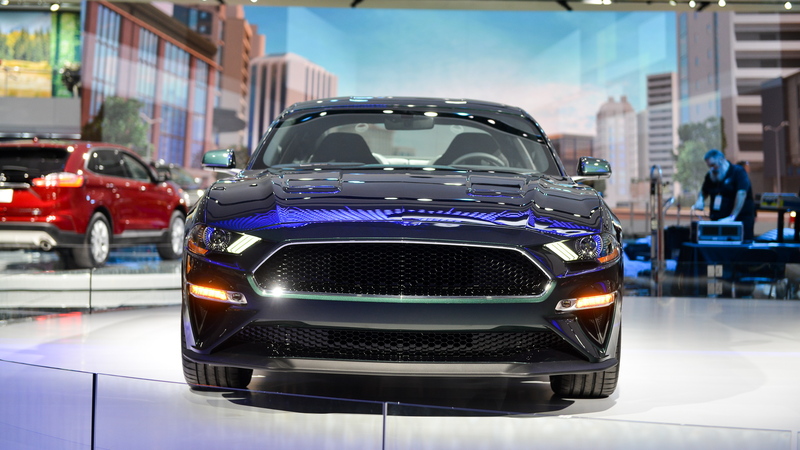 Ford fits the Bullitt with an active valve performance exhaust system to give it that signature sound. 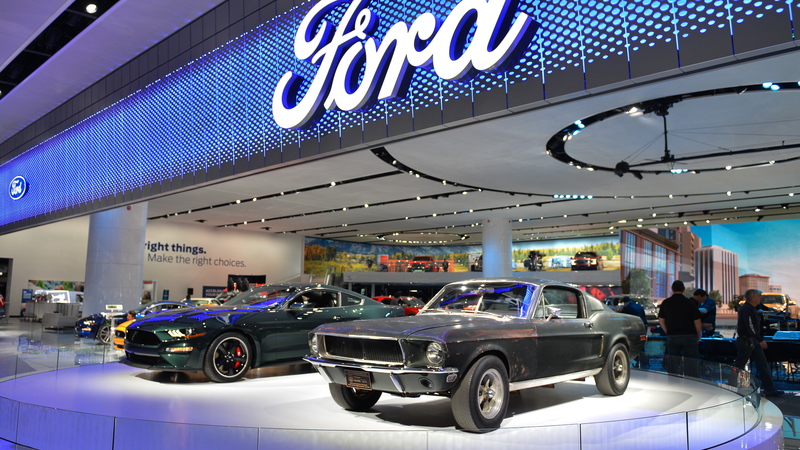 But Ford also worked to make the 5.0-liter Coyote V-8 even more powerful, and not just for nostalgia. Changes to the engine include larger throttle bodies, the intake manifold from the Shelby GT350, a new open air induction system, and a different calibration for the powertrain control module. As a result, the car makes 15 extra horses for a total of 475, and it can reach a top speed of 163 miles per hour, 8 more than the Mustang GT. But that's not all of the go-fast goodies. 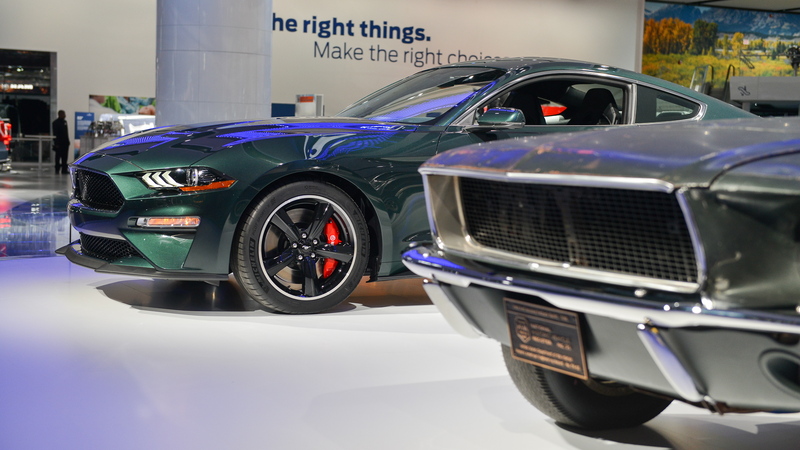 The Bullitt also comes standard with the Mustang GT Premium package, which includes such good stuff as six-piston Brembo brakes, a strut tower brace and a K-brace, heavy duty front springs, a thicker rear sway bar, a Torsen differential with a 3.73 gear ratio, and a larger radiator. The programming for the stability control system and ABS is loosened up as well. Buyers will also be able to opt for the MagneRide dampers that improve both ride and handling. Ford hasn't announced pricing or said just how limited this limited-edition model will be, but we'll find out more when it goes on sale this summer. Where are the keys to this thing? Who has a Charger? Let's have a chase.